It appears Vancouver rent prices have finally stabilized, and like all real estate cycles, could be on a path towards declining. 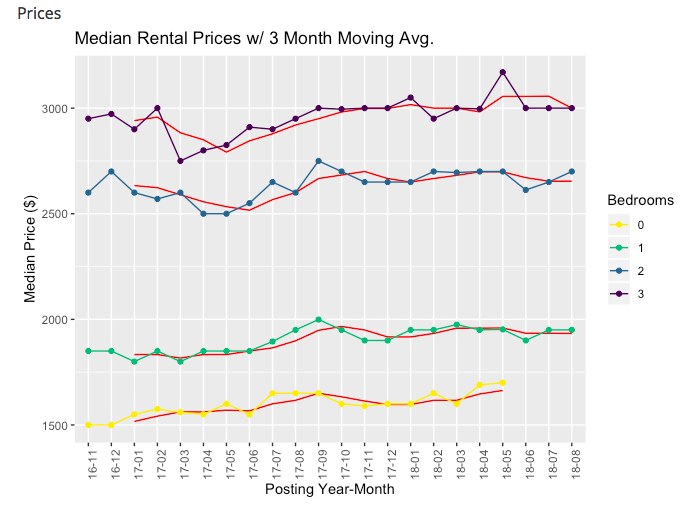 Recent data from local data scientist Louie Dinh of Quantitative Rhetoric, shows rent prices were essentially flat year-over-year in August. Adjusted for inflation, one bedroom and three bedroom rent prices actually turned negative. This is quite the change from the 10-12% rent price growth Vancouver has been experiencing over the past couple of years. Meanwhile, August rental listings saw a surge in volume. The number of unique listings increased 10% from July to 5872, which was good for a 17.6% gain from August 2017. Flatlining rents and a rising number of listings should come as little surprise to those who are familiar with real estate cycles. In the early stages of the cycle vacancy rates tend to fall and rent prices increase. However, as the real estate market begins to slow, while simultaneously new construction ramps up (currently at all time highs in Vancouver), vacancy rates increase and rent prices begin to fall as an abundance of new supply overwhelms the market. 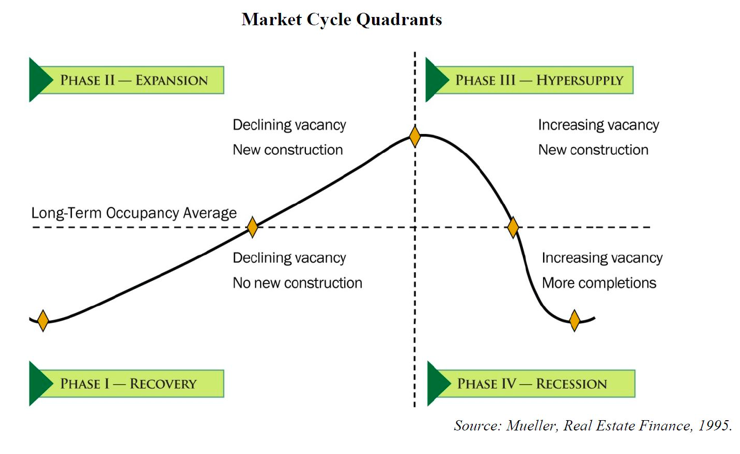 The anatomy of a real estate cycle. This should be an important lesson to COPE Vancouver, which recently proposed a four year freeze on rent increases for existing tenants. Freezing rents prices is a heartwarming gesture, but a terrible idea in practicality. Stanford Economists Rebecca Diamond, Timothy McQuade and Franklin Qian published a new paper that uses rental data from 1980-2016 to study the effects of rent control in San Francisco, a city notorious for high housing costs. It may be best to let this cycle run its course, eventually markets tend to find an equilibrium.